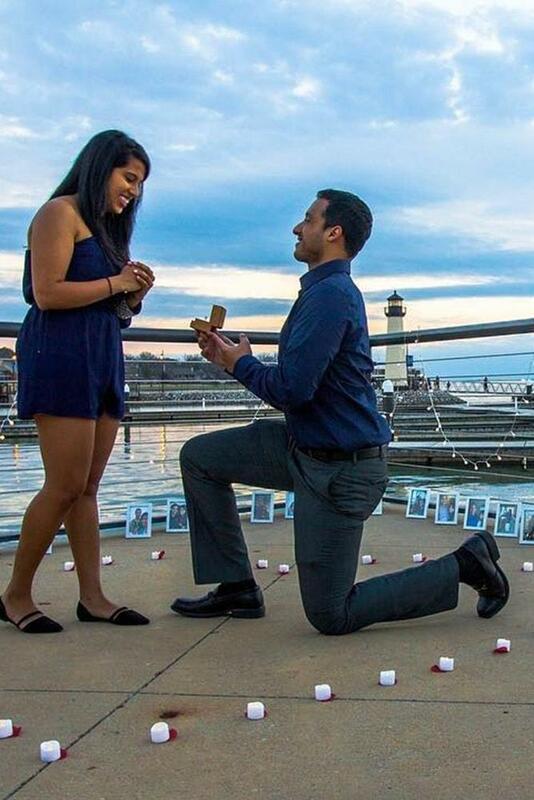 Beach Proposal Ideas are so romantic! 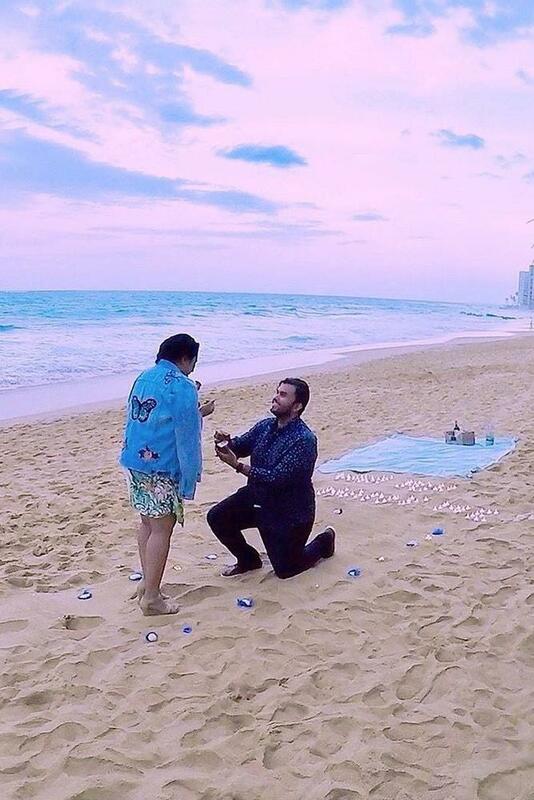 Any woman would love a dreamy and meaningful beach proposal. 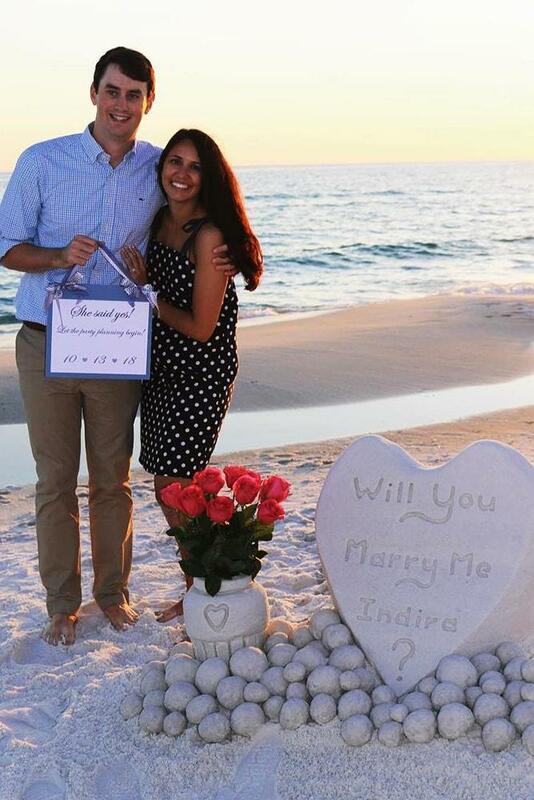 Do you need some tips for proposing on the beach? 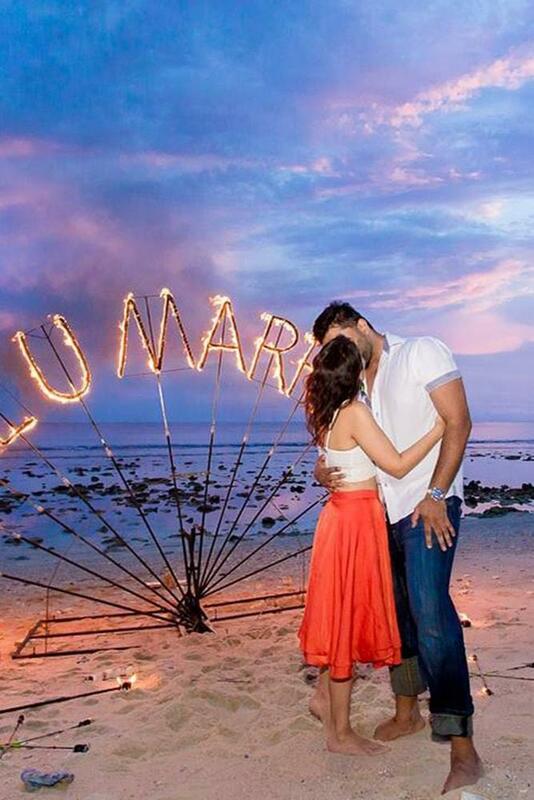 Do you take her for a romantic walk or spell it out in the sand? Have a beach picnic? 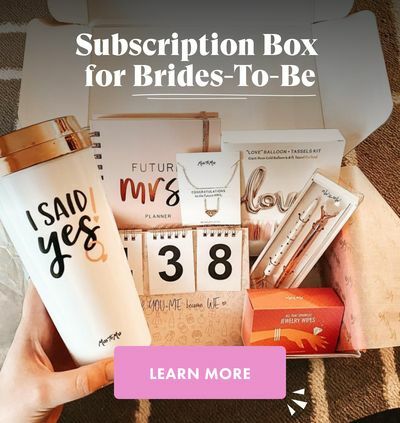 What can you do to make it extra special? A moment that she will cherish forever? 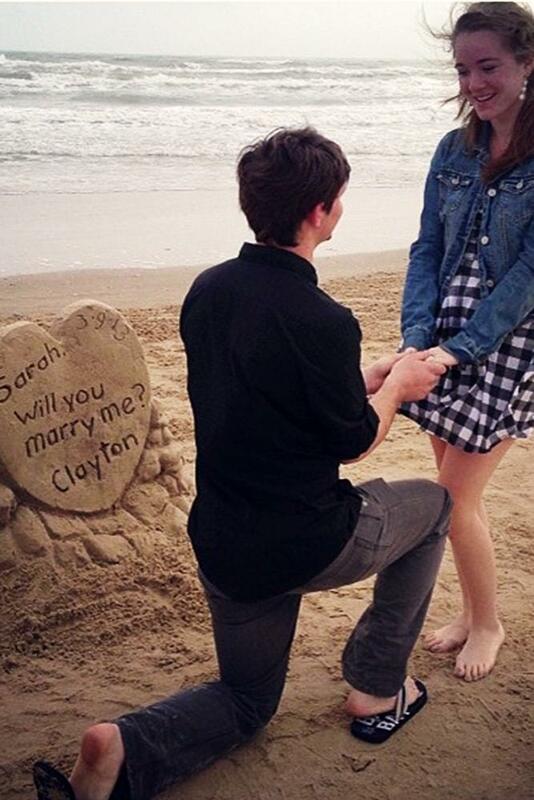 There are a lot of ways to propose on the beach! 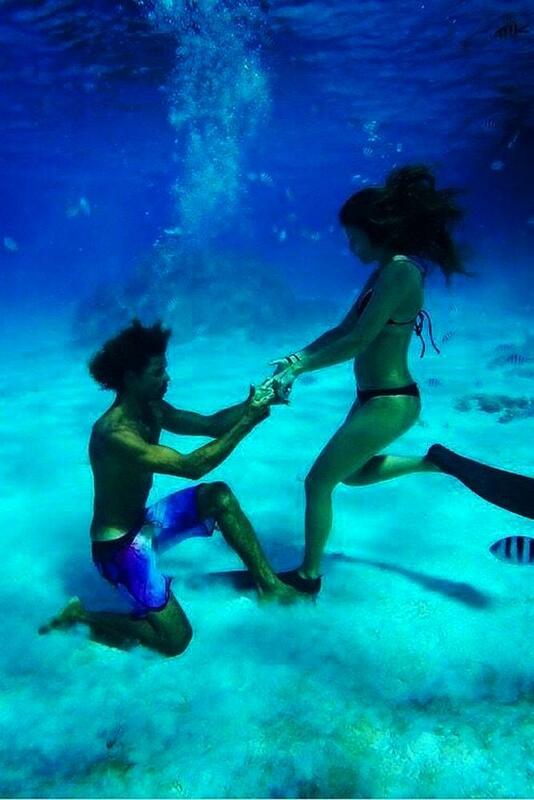 We have put together a list of some of the most romantic ideas for a beach proposal. This idea is simple, but timeless and true! 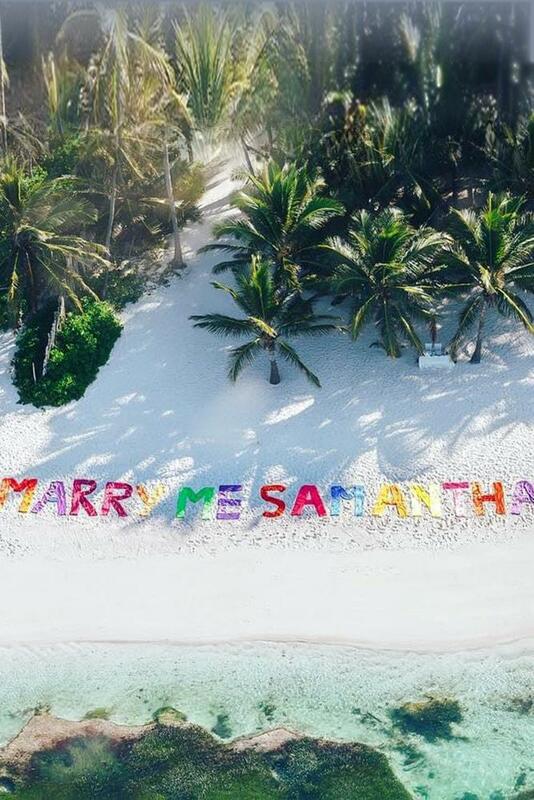 Simply compose a proposal message in the sand. 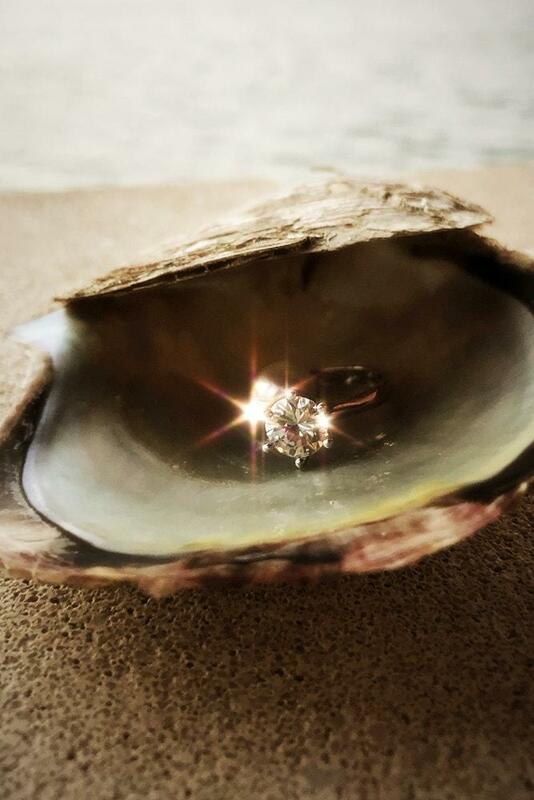 Bonus points if you draw a huge heart around your proposal or decorate it will flowers and shells. 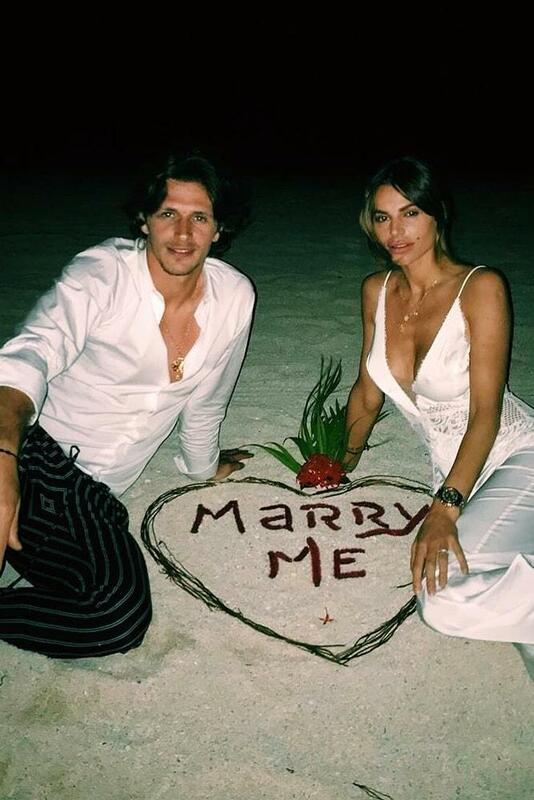 If you are going to use this classic beach proposal, be sure to do it either early morning or late afternoon so it won’t be washed away by the tide or tramped on by beach goers. 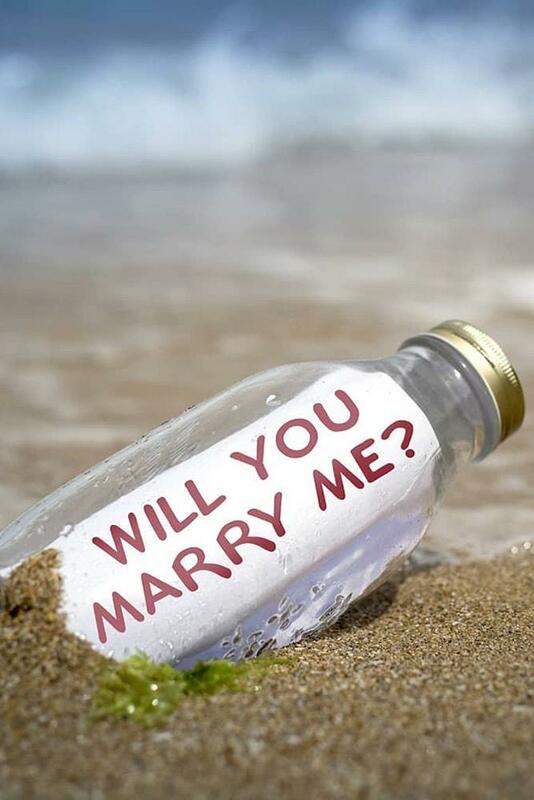 Another timeless idea is the message in a bottle proposal. 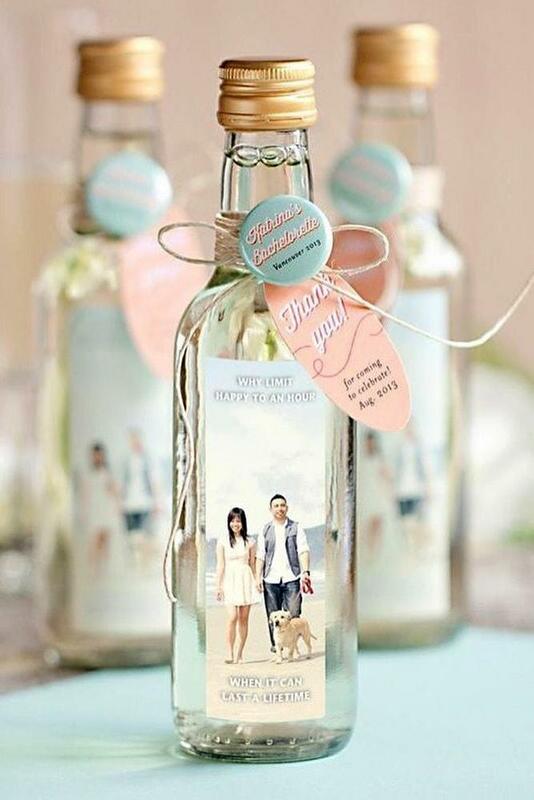 You can purchase a message bottle kit from most gift shops or online. If you want extra points, find an antique bottle and use parchment paper. 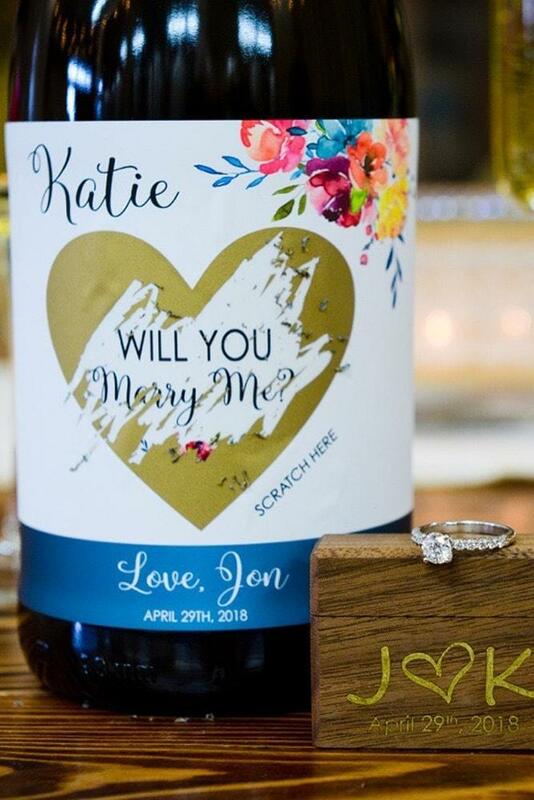 Write your proposal and place it in the bottle. 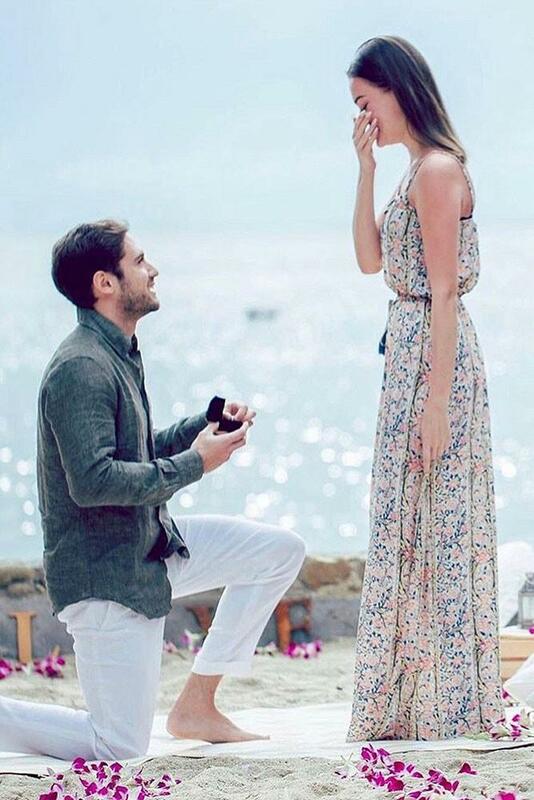 You can go for a walk on the beach together and have her “find” the bottle. You can either carry it with you, or have a trusted friend strategically place it for you beforehand (or do so yourself). 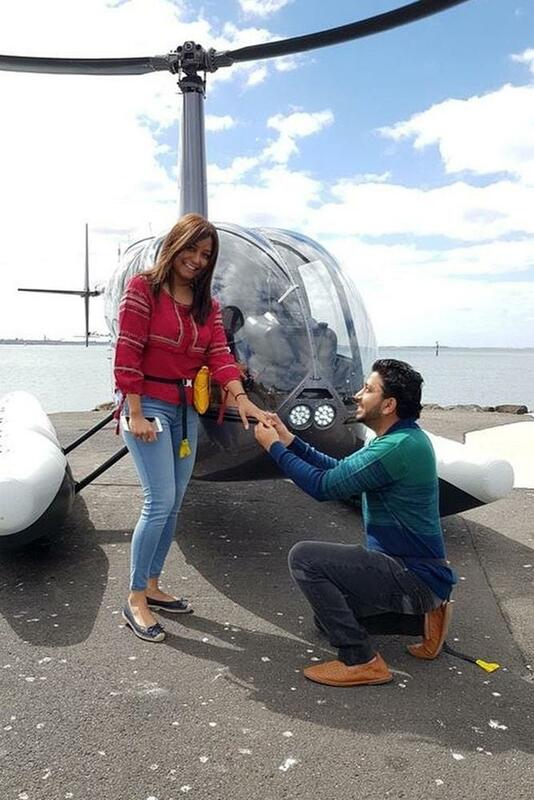 As she opens the bottle and unravels the message, drop to one knee and pull out the ring! 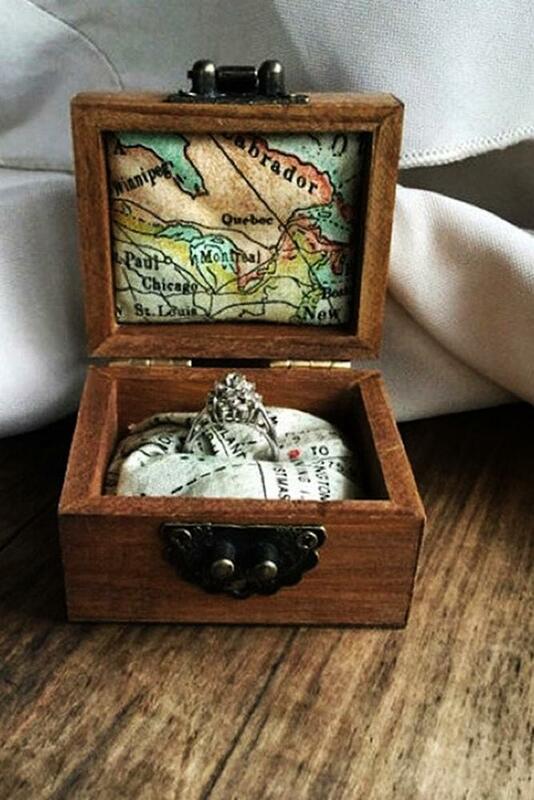 If you want to make the occasion truly memorable, why not send your beloved on a treasure hunt, complete with a personalized treasure map? 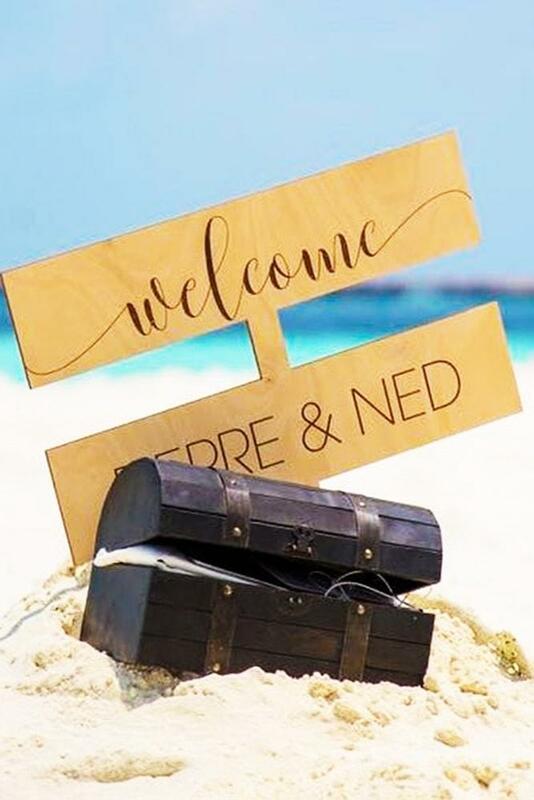 You can purchase a small treasure chest to bury the ring, and a note if you so desire. 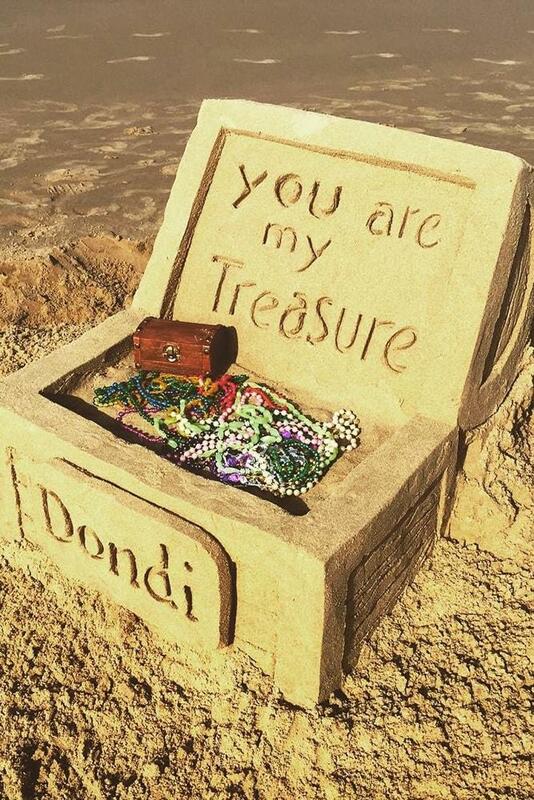 This one requires the help of a trusted friend or relative as you will need someone to bury the treasure chest and watch over it until she arrives. This one will require some time and effort, but it will be well worth it! With dozens of airplanes flying over popular beaches all day long, she won’t suspect a thing! 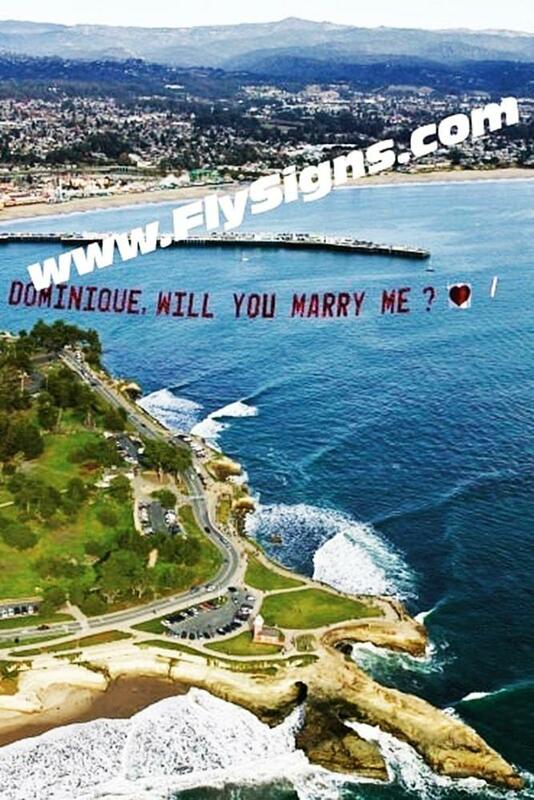 Of course, you have to plan the time and location and pay for the banner, but her reaction will be priceless! And don’t be afraid to get creative with the banner. Use her “pet name” and a picture of the two of you, if possible! 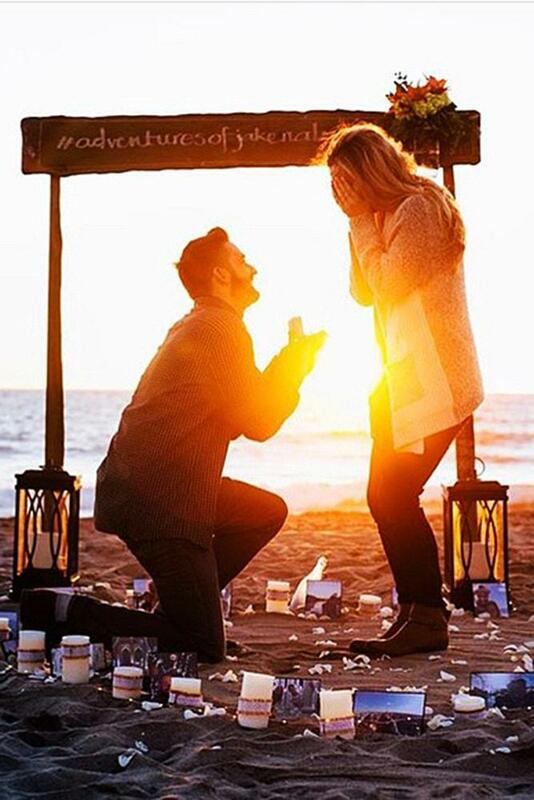 This proposal also is great if you are having a beach bonfire or picnic with family and friends around to share in the magic of the moment. If you are a fan of scuba diving, this one’s for you! 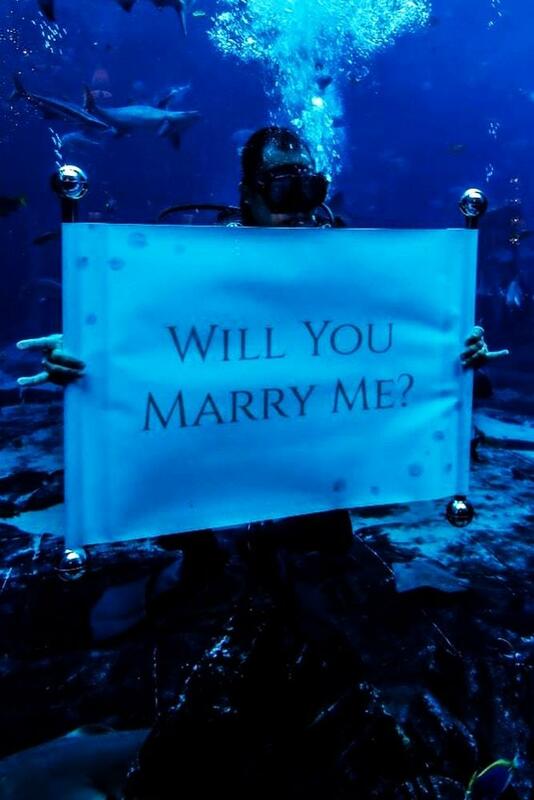 Schedule a dive and have the instructions plant a sign that says “Will You Marry Me” down in the diving site. 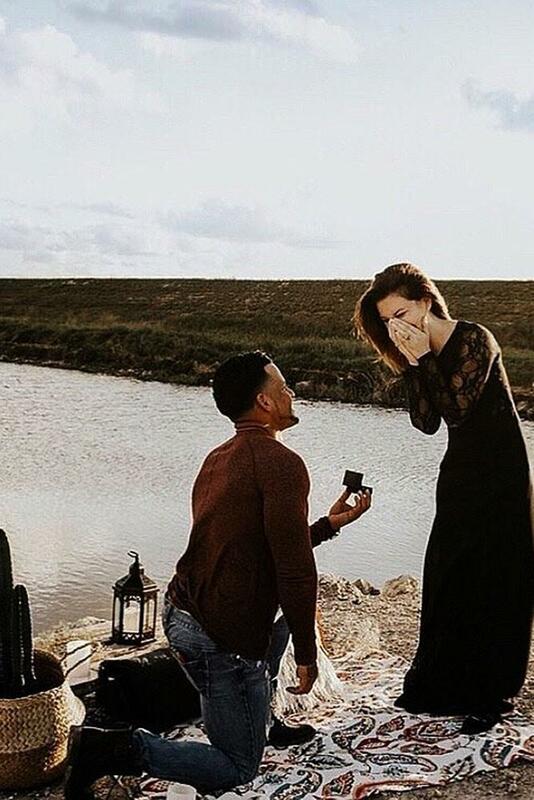 We don’t recommend bring the ring along on this one, however! A lot of resorts or restaurants offer dinner packages on the beach, complete with candles and even music! 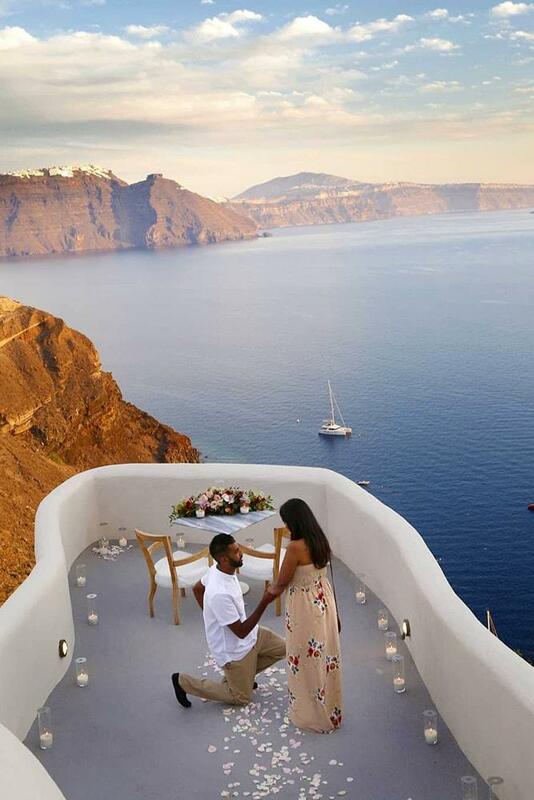 Book a sunset dinner and when the mood is right, pop the question! You could charter or rent a private boat, perhaps at sunset, and ask her when you are out to sea. If you happen to own a boat, that’s even better. 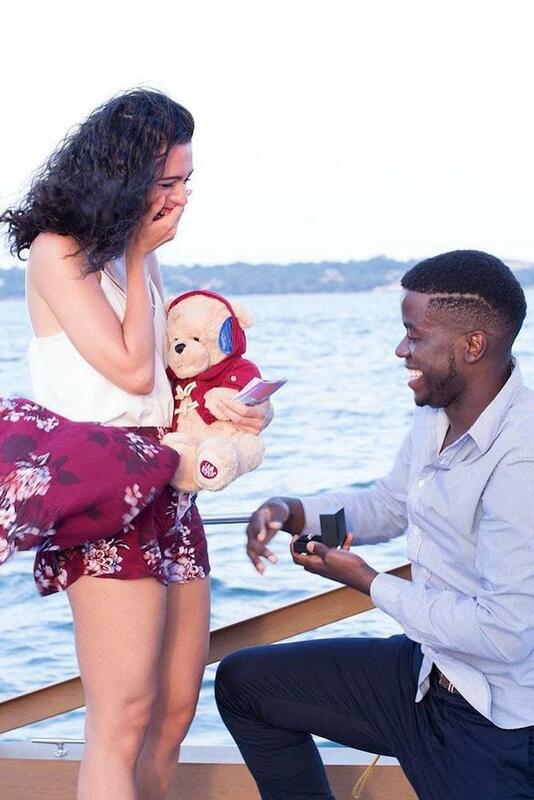 Take her out for a spin, bring a bottle of champagne and pop the question when you are moved by the moment! Lighthouses are romantic, especially during a sunset or late at night. Bring along some change and a blanket and cozy up and watch the waves together. Of course, you have to clear it with the lighthouse owners. 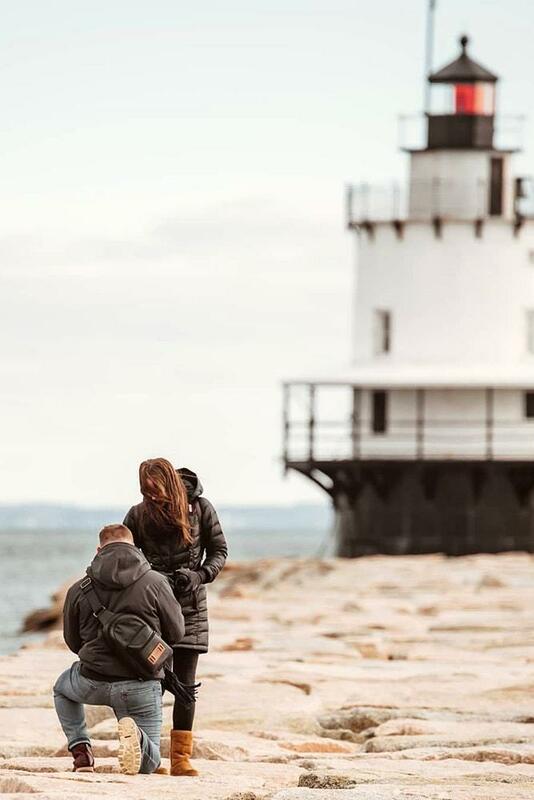 A lot of lighthouses have packages just for these occasions so do some research beforehand. Hunting for seashells is timeless and innocent. 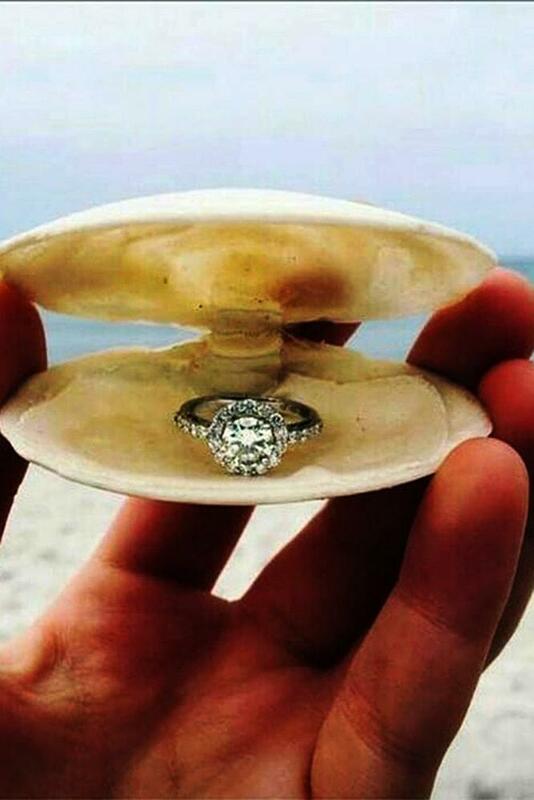 The last thing she will suspect is to pick up a shell and find either a proposal message or an engagement ring. 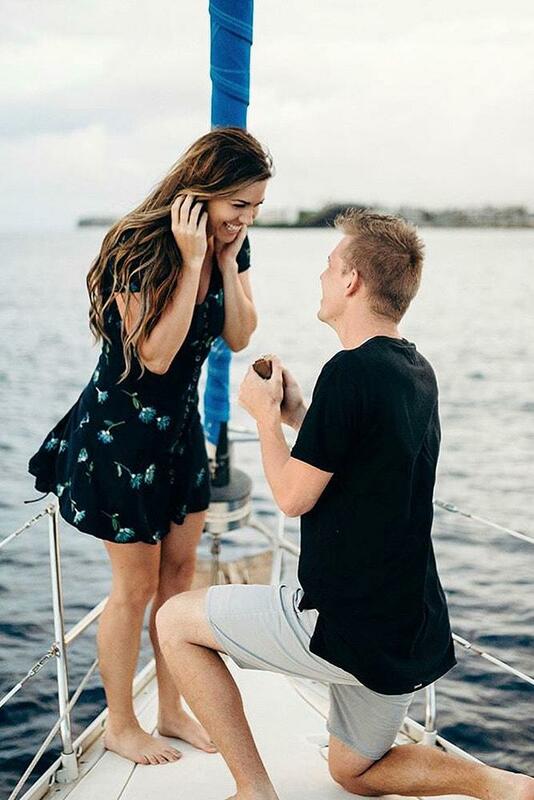 Like the buried treasure proposal, the timing and placement on this beach proposal are crucial so either have the ring in the shell with you and quickly place it on the ground near you while her attention is diverted or have a trusted friend place it for you and stand guard until the time is right. 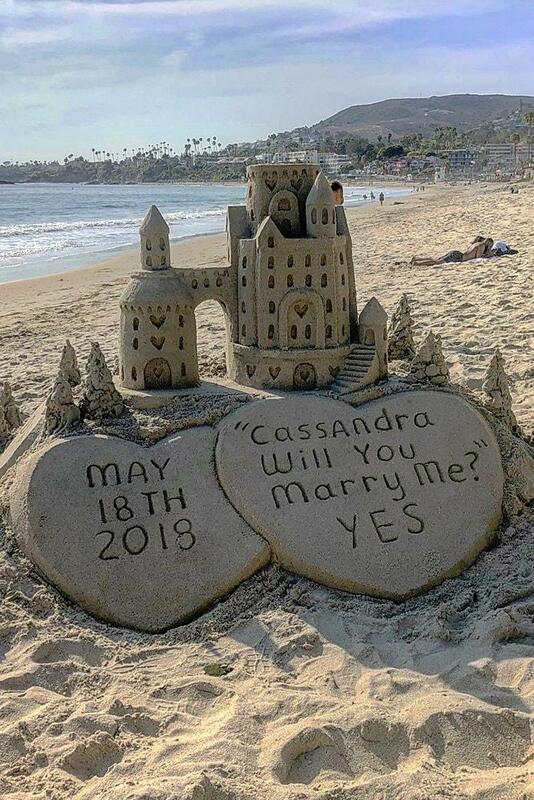 If you are talented with sand castles or sculptures, steal away while she is otherwise busy and construct a sand sculpture with your intent carved out. Or you could always pay an artist to build it for you. Then go for a spontaneous walk on the beach and innocently stumble upon the sculpture! Plan a typical beach day with your love, but tell her to leave the details up to you. 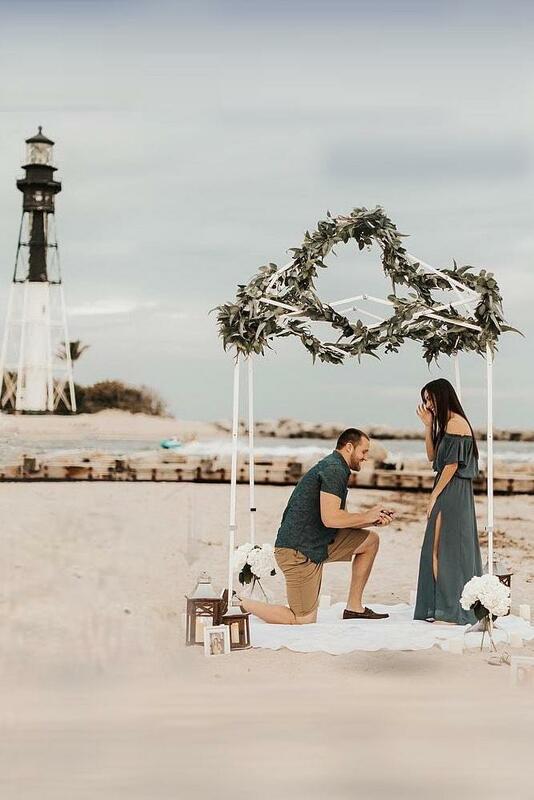 Pack a romantic picnic lunch of all her favorites and bring along a custom designed beach towel with the words “Will You Marry Me?” on it (You can special order these online on many sites) When you get to the beach, tell her to relax while you set everything up. 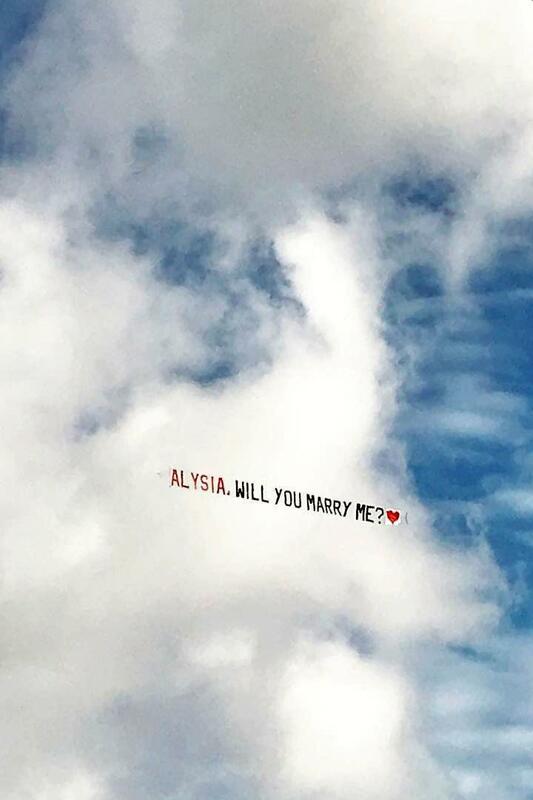 Watch her face when you lay out her personalized beach blanket with your marriage proposal! 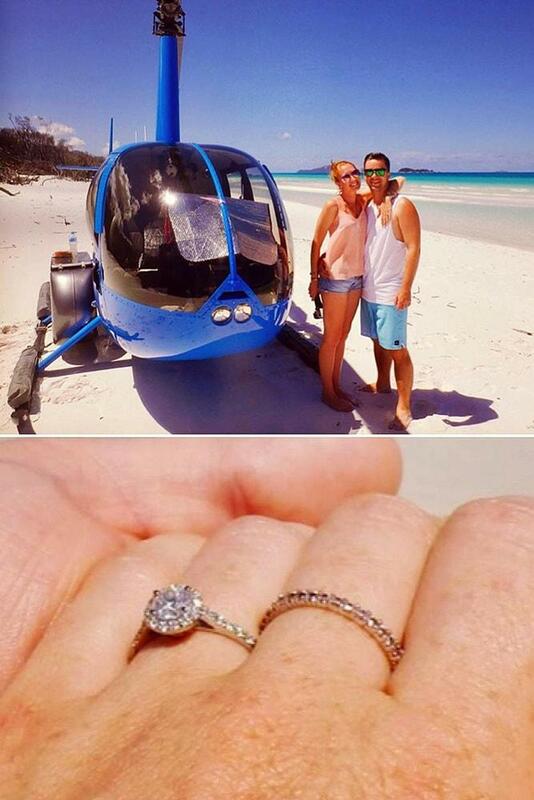 Most beach resorts offer helicopter rides over the beach. 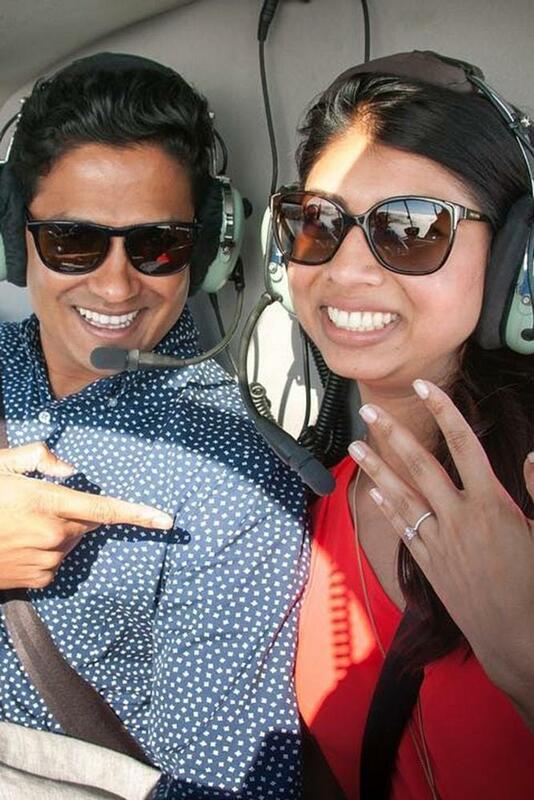 What better way to propose to the love of your life than on a romantic helicopter ride over the ocean?. You may have to shout so she can hear you, but she’ll get the drift! 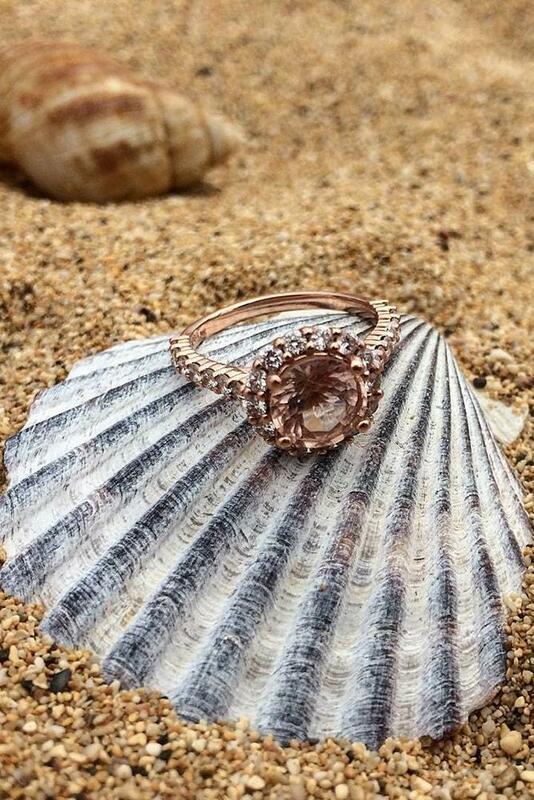 We hope you find these beach proposal ideas as romantic and timeless as we do! Remember to have a backup plan. Even if you have everything planned perfectly, Mother Nature might have other plans! 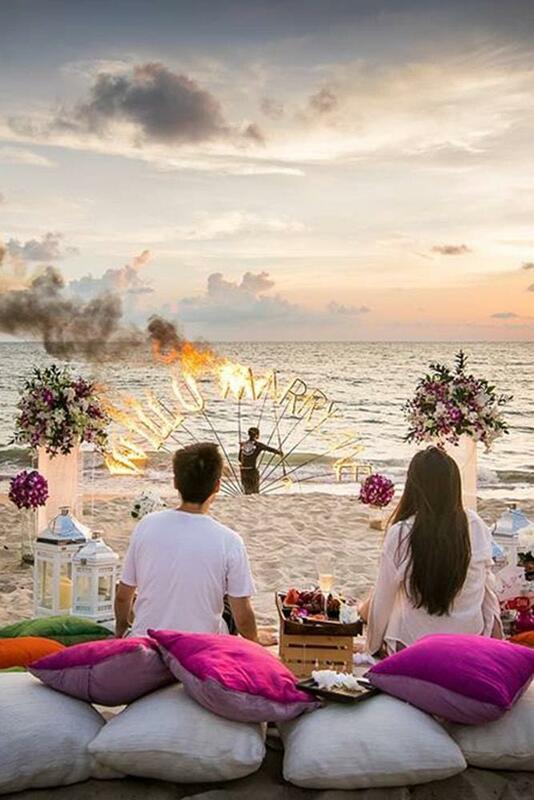 No matter which beach praise you choose, we’re sure she will love it and that you will have many years of wedded bliss!